Are you looking for a family sedan that is loaded with luxury features? 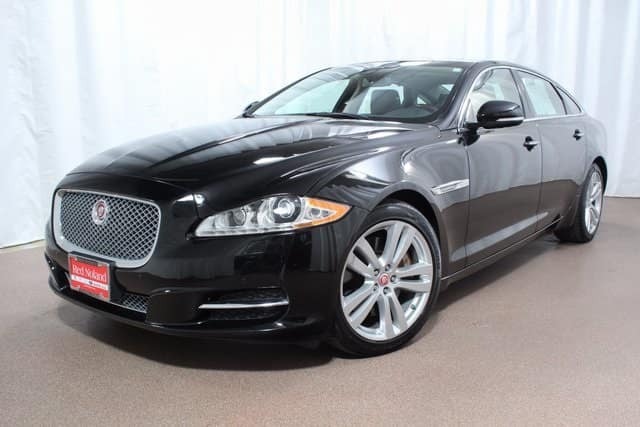 Jaguar Colorado Springs has an incredible 2014 Jaguar XJ XJL Portfolio AWD for sale. This CarFax One-Owner pre-owned vehicle is in beautiful condition. Powered by a 3.0L V6 24V supercharged engine, and paired with an efficient 8-speed automatic transmission, this elegant sedan is fun to drive! This award-winning car is loaded with safety, entertainment, and comfort features including blind spot sensor, leather seats, power moonroof, Meridian 380W premium audio system, and many more. Winter is right around the corner! The all-wheel drive on this wonderful Jaguar offers added stability in adverse weather conditions. Don’t miss out on this incredible automobile! Stop in to Jaguar Colorado Springs today for your test drive. Try out the amazing features and sink into the wonderful luxury!